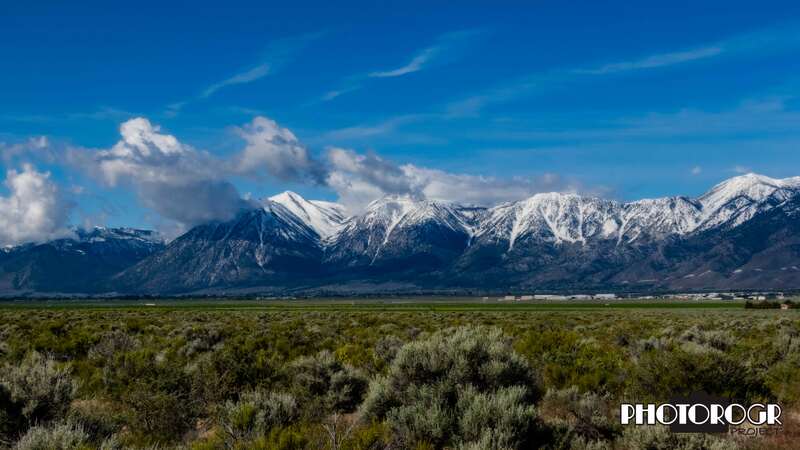 Today’s PS Challenge image is Jobs Peak and the Sierras, taken from Johnson Lane in the Carson Valley about a month ago. There’s still snow on the Sierras at this time, but the summer heat obscures the beautiful colors in the mountains. Jobs Peak is the one on the left – the point visible under the clouds. I just wanted to share that I was lectured by a Facebook friend who said that the Sierra mountain range is NEVER pluralized. It is incorrect to say the Sierras. I argued that locals often do and was corrected by several people. Don’t know if you give a crap, but they claim expertise on the subject so I am changing my references.